We propose a methodology for hypermedia design which is based on a UML profile for the hypermedia domain. Starting with a use case analysis and a conceptual model of the application we first provide guidelines for modeling the navigation space. From the navigation space model we can derive, in a next step, a navigational structure model which shows how to navigate through the navigation space using access elements like indexes, guided tours, queries and menus. Finally, a presentation model is constructed that can be directly implemented by HTML frames. 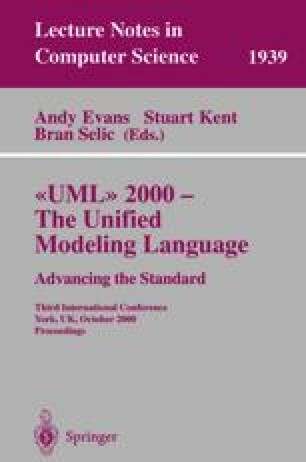 The different models of the design process are represented by using a hypermedia extension of UML. The strength of the presented methodology is given by the fact that most steps can be performed in an automatic way thus providing the basis for a generation mechanism for hypermedia design.